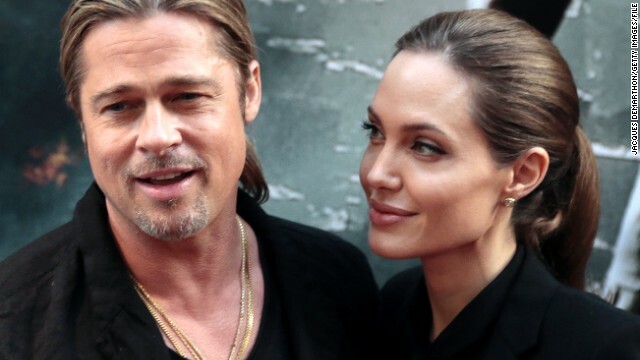 Brad Pitt is not only a great dad, but according to Angelina Jolie, he's also a pretty good acting coach. Jolie said that her longtime love and father to their six kids helped daughter Vivienne, 5, while she was filming a scene for Jolie's new film "Maleficent." According to People, Jolie said one day called for the youngster - who plays the young Princess Aurora in the movie - "to catch the butterfly, and she just really didn't feel like doing it." Pitt and her siblings provided some inspiration, Jolie said. "I actually was holding the pole with the ball on the end and bouncing up and down and dancing, trying to make her laugh, and Daddy was on the edge of the cliff she had to jump off, making faces and all her brothers and sisters were egging her on," Jolie said. "She eventually did it but she was taking her sweet time and not wanting to do it twice, certainly." Jolie reiterated her hope that her children not go into show business. "I want them to do it for fun only, and when they get older, if they decide to be actors, I would just ask that that's not the center of their lives," she said. "That's an aspect but they are involved in many other things, because I don't think it's a healthy focus as the center of your life." It was very supportive of them. I believe there children have a very bright future. "We got a German that wants to die for country....OBLIGE him"